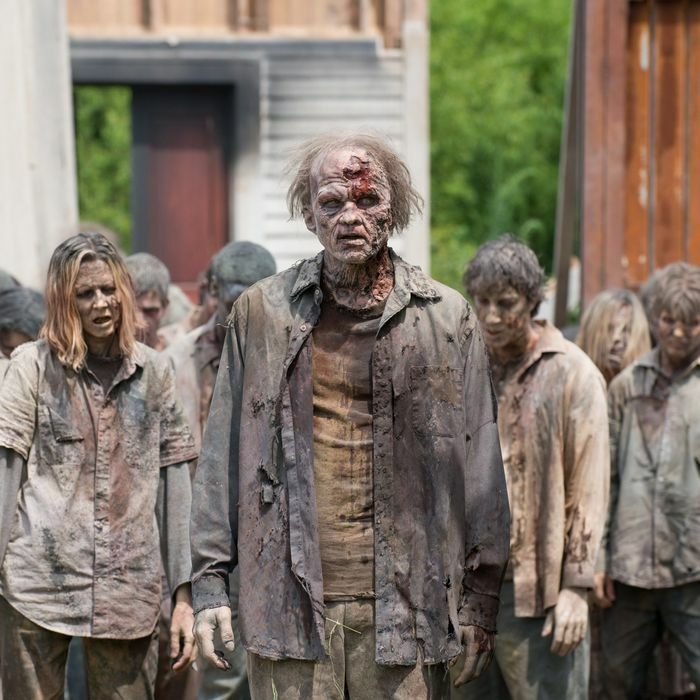 Strange growling noises have emerged from dark corners of the White House and the Capitol: reports of a zombie reemergence of the GOP health-care initiative, just days after it was publicly buried by Donald Trump and Paul Ryan. It seems the source of this alleged reanimation may be the GOP faction most attributed as causing Trumpcare’s death — hard-core conservatives associated with the House Freedom Caucus. Just before the story broke of renewed high-level GOP meetings on health care, Representative Mo Brooks, a Republican from Alabama and a Freedom Caucus bravo who was an announced opponent of AHCA, let it be known he was filing a “discharge petition” to force a House vote on a simple Obamacare repeal (presumably similar to what Congress passed last year in the safe knowledge Barack Obama would veto it). It’s an extreme, long-shot measure to bypass the committee system and the leadership, made sensible only by the Freedom Caucus’s dogmatic belief those enslaved by Obamacare would rattle their chains and bellow their support for such a measure. The new talks, which have been going on quietly this week, involve Stephen K. Bannon, the president’s chief strategist, and members of the two Republican factions that helped sink the bill last week, the hard-right Freedom Caucus and the more centrist Tuesday Group. While it is abundantly unclear how these talks will fare any differently than earlier talks that exposed the deep divide between conservatives who thought AHCA was too generous and “moderates” who though it was too stingy, particularly since every available compromise seemed to make the disastrous coverage and cost numbers the Congressional Budget Office assigned to the legislative product even worse. Bannon’s involvement is even stranger, though obviously if he were able to pull off a legislative feat that eluded Paul Ryan, the cheering in Breitbart-land would be ear-shattering. If that’s not enough Republican confusion for you, there are fresh reports today that some GOP senators don’t agree with McConnell, and remain interested in moving their own repeal-and-replace legislation, independently from what the House is thinking about doing. All this talk had better materialize into action pretty quickly, or it may be too late. Anti-abortion activists are already eyeing the abandoned reconciliation instrument that was supposed to make passage of Trumpcare easier, and demanding that it be used for their pet cause, the defunding of Planned Parenthood, so that that item won’t wind up being filibustered by Democrats as part of a stopgap appropriations bill. For those still discussing health-care legislation, it’s use-it-or-lose-it time. The dead can’t walk much longer.